“Do something” — now that’s inspirational leadership. @TheDemocrats Speaking of which, how's his fundraising and golf trip going? @TheDemocrats they've been working, liar. 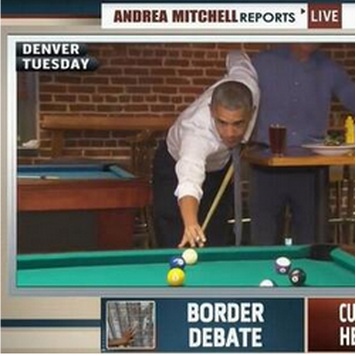 Please tell your party boss to quit playing golf and doing photo ops. Not funny — dead serious. And to prove it, the White House has posted this quote from the 2006 film “The Departed.” See, he’s at his desk and has his pen in hand and everything. @WhiteHouse @MattOrtega Your job is apparently to screw things up beyond recognition. Nicely done! Mission accomplished! How bout a selfie? @WhiteHouse @MattOrtega Could you please let us in on what that job entails, because it obviously isn’t what I thought. It’s a good photo, at least.